If you’re always tired, feel weak, and are pale with cold hands and feet, you may be one of the 3 million Americans who lives with anemia. At Apex Medical Professionals in Fair Lawn, New Jersey, Walid Elkhalili, MD, and the team diagnose and treat anemia with customized care depending on the specific variation of anemia that’s disrupting your health. Call Apex Medical Professionals today or make an appointment online for expert medical care. Your blood consists of liquid plasma and solid cells including platelets and white and red blood cells. Your red blood cells contain a protein called hemoglobin, which is responsible for carrying oxygen throughout your body. When you have anemia, you have insufficient levels of red blood cells and hemoglobin, and your body doesn’t get all the oxygen it needs to function optimally. Anemia symptoms typically begin mildly but intensify as your condition progresses. If you notice any of these symptoms, make an appointment with the doctors at Apex Medical Professionals for expert diagnosis and customized treatment. Anemia develops when you have an insufficient amount of red blood cells. Your body might not make enough red blood cells, or you may lose red blood cells more quickly than your body can replace them. You might also have an immunologic disorder that causes your body to damage your red blood cells. There are several types of anemia, characterized by their cause. The most common form of anemia is due to an iron deficiency. It’s common in pregnant women as well as those who have heavy menstrual periods. Other types of anemia are due to issues like vitamin B12 deficiency, chronic diseases like inflammatory bowel diseases, or bone marrow disorders like leukemia. Sickle cell anemia is a genetic disorder where your red blood cells are abnormally shaped and weak. 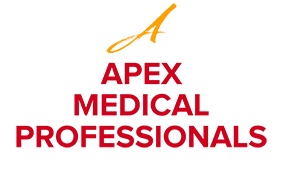 Your doctor at Apex Medical Professionals orders a complete blood test to check your red blood cell count and to check for signs of other diseases and deficiencies that could contribute to your symptoms. He may also run a test to identify the size and shape of your red blood cells, especially if you have a family history of sickle cell anemia. Your doctor at Apex Medical Professionals provides customized treatment for anemia tailored to the type of anemia you have and your symptoms. If you have anemia because of an iron or vitamin deficiency, your doctor prescribes dietary changes and supplements to increase your iron and B12 levels. Also, you may benefit from vitamin infusion therapy. If your anemia is a secondary condition of another illness, your doctor treats the underlying disease to improve your health and reduce your symptoms, including the anemia. If you’re concerned about anemia, call the practice or make an appointment online today.